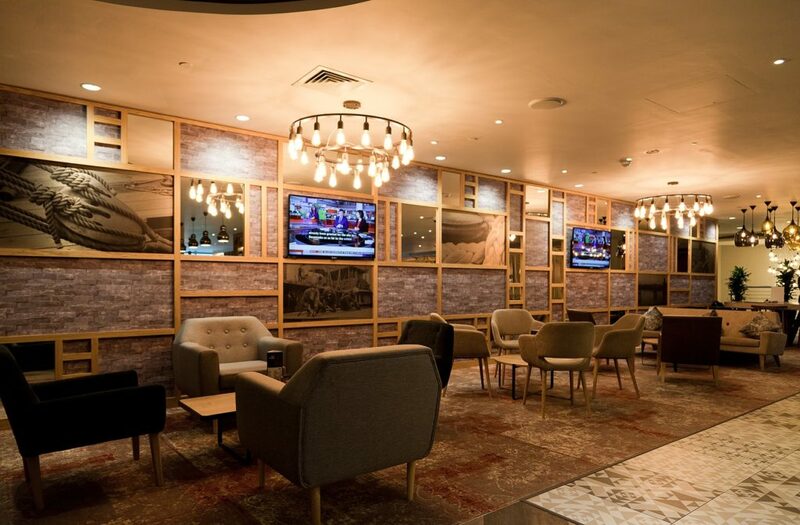 Andrew Davies, Design Director at YTM Group explains how technology is challenging hotel design teams in new ways. In recent times the focus of hotel design has shifted towards what will make a statement online. The need to create spaces that photograph well, showcase something new and exceed expectations has never been greater. 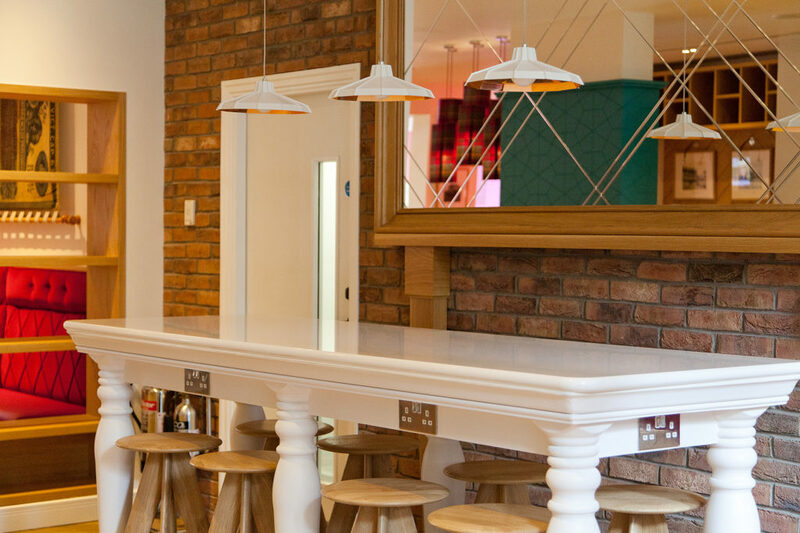 The ever-growing popularity of social media platforms and review sites is making it possible for guests to analyse and appraise almost every aspect of a hotel before they stay, so no room or space can afford to look anything other than outstanding. In the 21st century, one thing that guests love to see is the adoption of cutting-edge technologies. As a result, the challenge we often find ourselves presented with, is the demand to deliver an end product that utilises digital tools without compromising on the aesthetic or comfort of the surroundings to ultimately, strike a balance between beneficial tech and unnecessary gimmicks. Finding this balance can be a powerful tool in generating positive reviews and word of mouth, both online and in person. Whether it’s across public spaces or in the privacy of a hotel room, the temptation among hoteliers is to expect that every new gadget and gizmo in the marketplace be integrated. Yet the temptation to overload on tech can also detract from a guest’s stay. To deliver a true experience, we know that hotel guests need to be connected to a room – not via wireless technology – but through their senses. Lost in a screen, they may all too easily miss the pleasing curves of a four-poster bed, the soft feel of an upholstered chair and even the smell of a carefully placed diffuser. It is important to acknowledge that we remember with all of our senses. Repeat business and particularly referrals can only be acquired by bringing guests into the present and making them appreciate their surroundings. This, of course, is not to say that technology does not have a place in supporting the guest experience. On the contrary, giving guests control over the ambient temperature and lighting through “Smart” equipment to accommodate their needs can heighten their sense of well being. The challenge however, is always to integrate technology seamlessly into a room, supporting the overall experience and making a stay more restful rather than overpowering it. All too often it becomes possible to overlook the primary purpose of a hotel bedroom: to sleep. A hotel bedroom should work hardest to support rest and recovery. 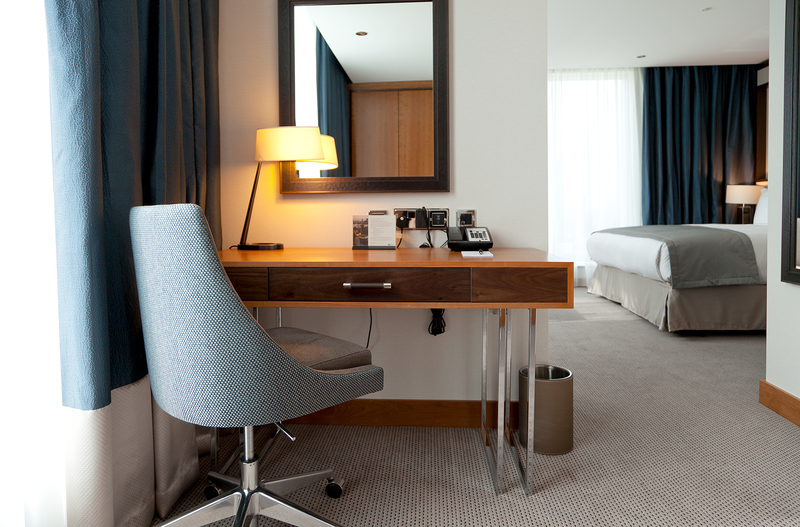 Few people will book the same hotel twice if they do not wake feeling refreshed, energised and ready to face the day ahead after their first stay. With this in mind, we know that digital devices are accountable for poor sleep. Many studies have shown that screen time before bed disrupts the sleep cycle. While it would be unwise not to accommodate laptop or mobile device usage in a bedroom, there are things that can be done even in smaller rooms to divide spaces and help differentiate between rest and activity space. 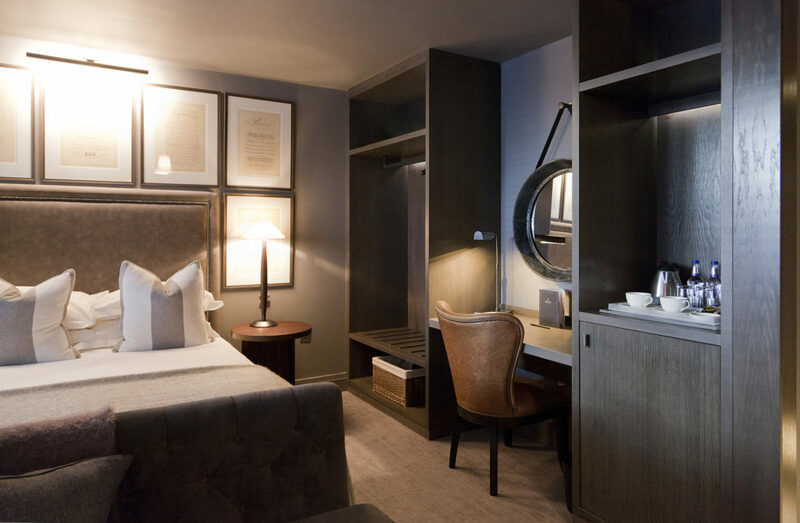 A guest may not consciously note the positioning of a sofa, bookcase or cabinet between desk and bed, but subconsciously this can make a very real difference to the enjoyment of their stay. It can be particularly tempting to pack as much new tech as possible into the pubic spaces of a hotel. Gymnasiums, pools, spas, restaurants, bars, workspaces and lobbies can all sport smart technology in abundance. But here, too, it is important to incorporate digital aids with a delicate touch. It might be manufacturing a reception desk that accommodates a slim tablet device into the work-surface or crafting fitted furniture to house television screens or even self-service machines. We can embrace these advances and use them to create greater subtlety rather than let technology become the statement piece. The terrifying (but exciting) prospect for design teams is that the progression of technology and the way consumers appraise hotels is ever-changing. So we, as designers, can never stand still – it’s what keeps us on our toes from day to day! Andrew Davies, Design Director at YTM Hotel Furniture.